"Over the top gameplay? Better be some purple dildos!" Agents of MAYHEM is the latest open-world, third-person action game from the creators of the Saints Row franchise! In Agents of MAYHEM, you run a no-holds barred operation against a shadowy super-villain organization known only as LEGION and their mysterious leader, the Morningstar. Following the global attacks on Devil’s Night, cities of the world are held by the LEGION’s Ministries, bands of powerful villains named for the Seven Deadly Sins. Seoul is the personal domain of LEGION’s mad scientists, the Ministry of Pride – Doctor Babylon and his rogue’s gallery of supporting villains. You play as a variety of Super Agents – each with their own distinct look, personality, weapons, and skills. Explore the city of Seoul to rout out LEGION operatives and their vile plans to take over the world. 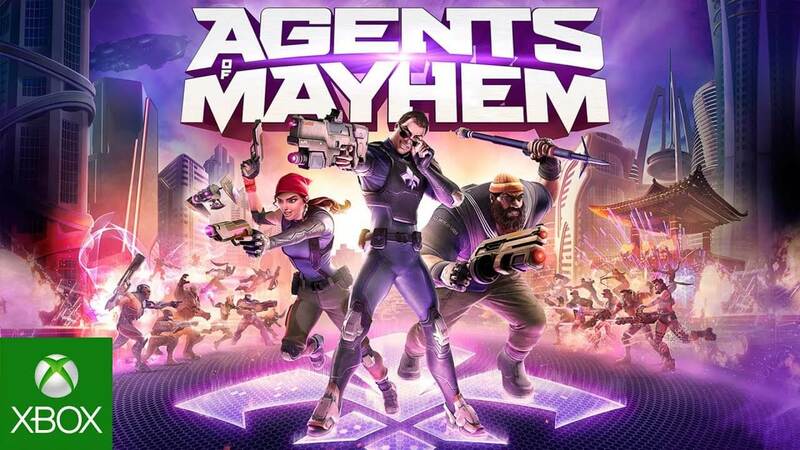 MAYHEM’s Agents have a license to do what the hell they want, so long as they do whatever it takes to grow the agency and ultimately defeat LEGION. Agents of Mayhem is available now to download in America and on August 18th in Europe.